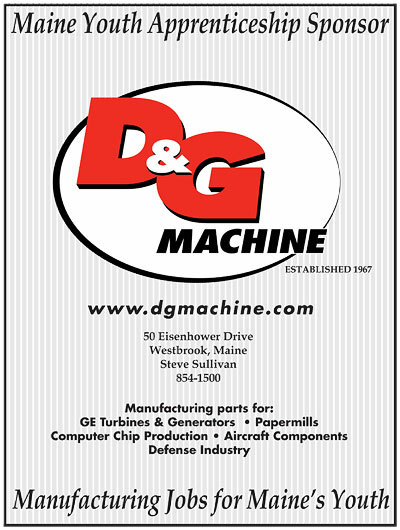 D&G Machine actively promotes Youth Apprenticeship Programs. Partnering with local Southern Maine Community College, D&G supports educational training in Manufacturing Technology Programs. D&G offers part and full time employment while students go to the 1 or 2 year certified programs. Began as a part time employee at D&G working in the general machining department while attending his junior year of high school. Matt then attended SMCC sponsored by D&G before he became full time in the Machining Department. After 10+ years of service and attending night school for management classes, Matt was promoted to Production Manager. In 2016 Matt was promoted to Plant Manager.